Book Endorsement: I have been in ministry for three decades plus now, and have read many books on ministry development. In that time, I got to see Minsters of the Gospel challenged and get frustrated in continuing to minister. This is mostly over the concern of their personal, family and ministry welfare, as they fully commit to the calling of god in their lives. 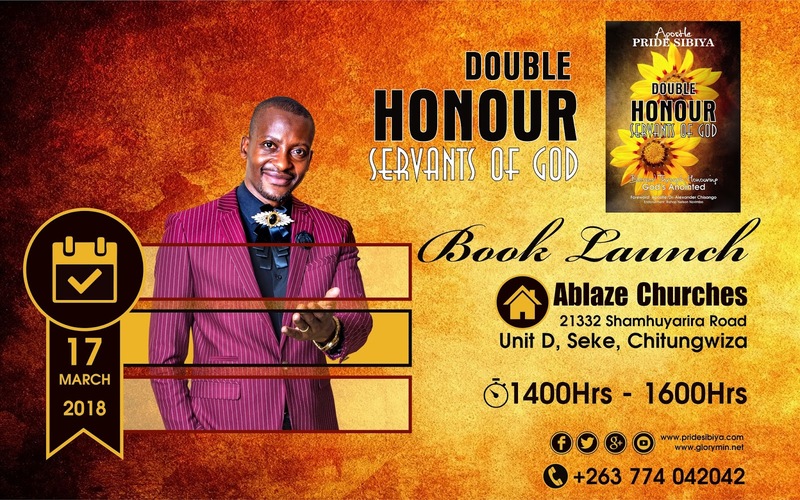 My library is full of books that teach on most aspects of Christian ministry, but I have not come across many that have exhaustively tackled the issue of Honouring the Servants of God that do the work of ministry. 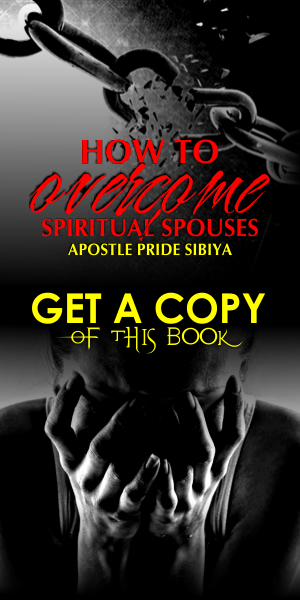 Apostle Pride Sibiya, has been instrument to address this issue in this book. I had the privilege to read this book before print, and I found so much depth of needful information for our church leadership and membership that helps the Minister of the Gospel to do Ministry with Joy. This is a major concern for ministers of the Gospel who are truly committed to Kingdom work, without their followers understanding what they go through in delivering ministry to them without being appreciated. 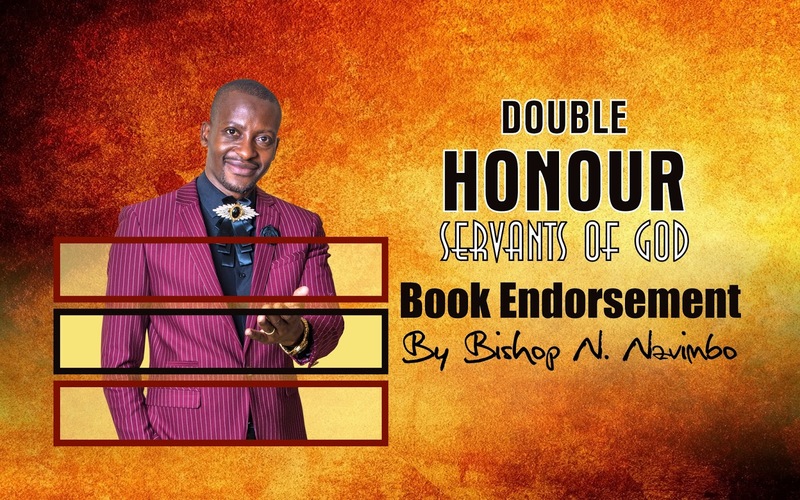 And to those already doing it, this book is a reminder that you are doing a noble thing to rally behind and support every Servant of God who is in the field of our heavenly fathers business. 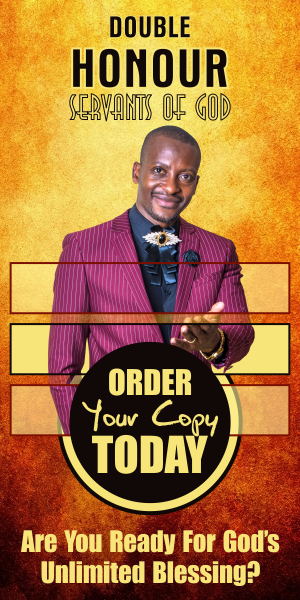 As you read this book, may the Holy Spirit compel you to be the pillar of support of your Servant of God in whatever church you go to. 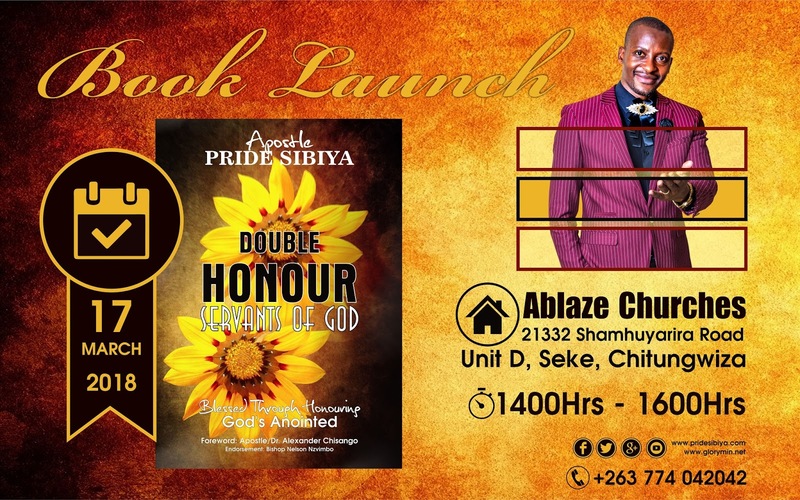 To Apostle Sibiya, may the good Lord continue to use you in writing more books that are of benefit to the body of Christ at large. 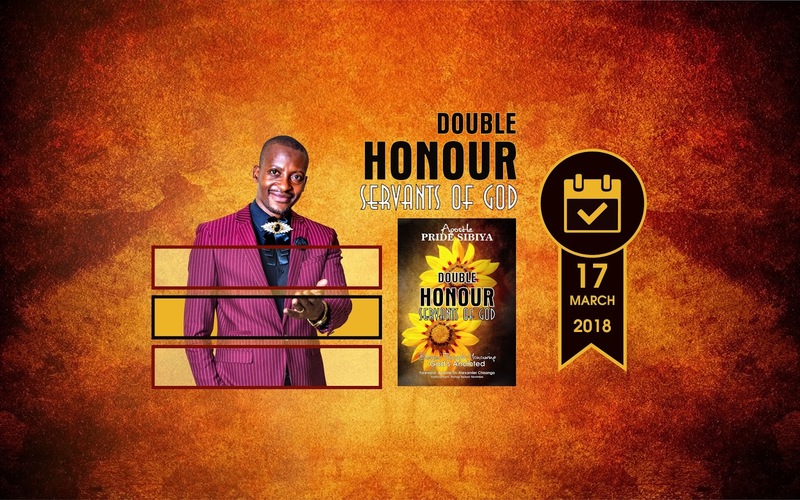 Order Your Copy Of My New Book DOUBLE HONOUR for only $10.00 And Get Ready To Take Your Giving and God's Blessing Upon Your Life To The Next Level! 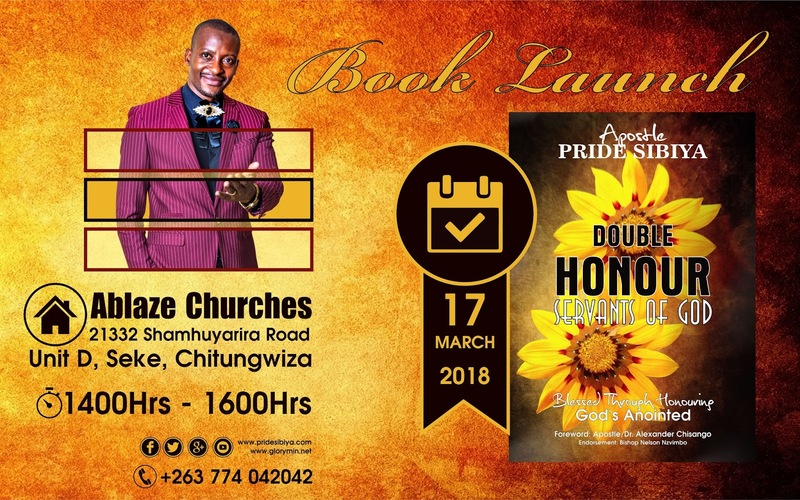 Call: +263 77 947 9880, +263 77 404 2042, +263 77 381 9942 TODAY!